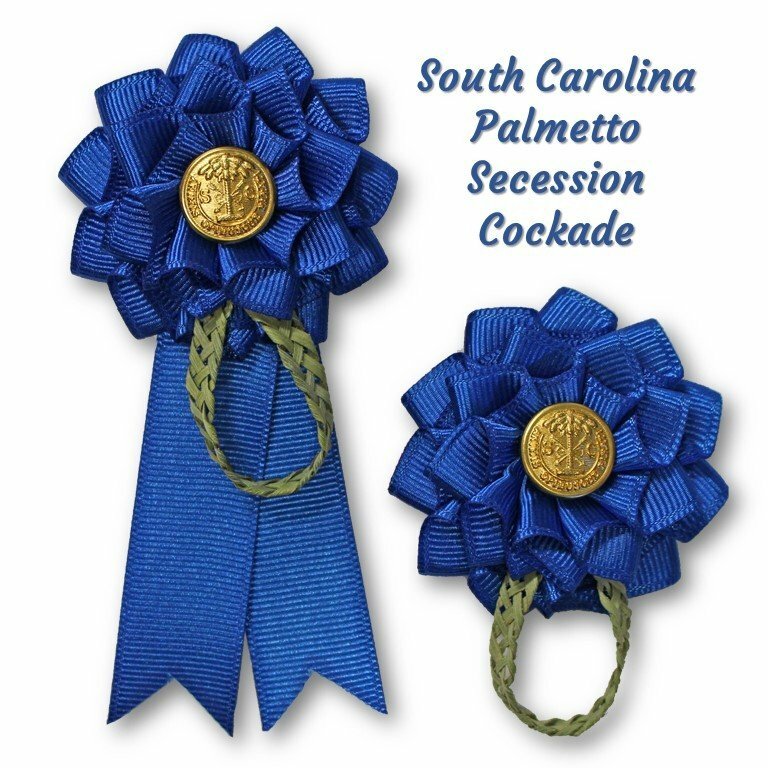 Show your southern pride the 1860s way - a Secession Cockade! Hand-sewn blue grosgrain ribbon with a South Carolina military button in the center. Braided palmetto frond is real! Approximately 2.5" (6 cm) across rosette. Pin on back is silver-plated and 1" (2.5 cm) wide. Palmetto braid is real and each cockade varies slightly.